Scotland coach Andy Robinson named seven uncapped players in his 34 man squad quad for training at St Andrews next week in preparation for the first EMC Test against New Zealand at Murrayfield next month. Edinburgh pair Stuart McInally and Grant Gilchrist join Glasgows’ Alex Dunbar, Peter Horne, Peter Murchie, Tommy Seymour and Henry Pyrgos as the untested players named. 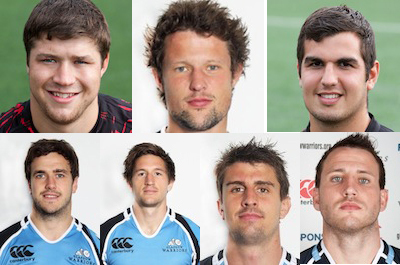 The addition of five uncapped players from Glasgow can be seen as a reward for their strong start to the season. However, Robinson is only too aware of the monumental challenge presented by the all conquering All Blacks, a side Scotland have never defeated. He said: “New Zealand are formidable opponents. They do the basics exceptionally well and play with a pace and ruthlessness. It’s no co-incidence that they are the best team in the world. The coach delayed naming a captain until next week with last seasons skipper Ross Ford and Saracens Kelly Brown, who returns to the squad after injury, the frontrunners for the armband. Forwards: John Barclay (Glasgow Warriors), Kelly Brown (Saracens), Geoff Cross, David Denton, Ross Ford and Grant Gilchrist (all Edinburgh Rugby), Ryan Grant (Glasgow Warriors), Richie Gray (Sale Sharks), Dougie Hall (Glasgow Warriors), Jim Hamilton (Gloucester), Allan Jacobsen (Edinburgh Rugby), Alastair Kellock (Glasgow Warriors), Scott Lawson (London Irish), Stuart McInally and Ross Rennie (both Edinburgh Rugby), Tom Ryder (Glasgow Warriors), Alasdair Strokosch (Perpignan) and Kyle Traynor (Bristol Rugby). Full-back Greig Tonks and centre Ben Atiga have recovered from injury to make to make their Heineken Cup debuts for Edinburgh against Munster on Sunday. The duo are among five changes made by head coach Michael Bradley as his team look to bounce back from last week’s disastrous 45-0 home defeat at the hands of Saracens. Tonks and Atiga replace Tom Brown and Matt Scott, who both drop to the bench, respectively. Bradley’s will be hoping that his changes will give his side both a physical and attacking edge for the vital fixture. Fijian Number 8 Netani Talei returns to the back row with Stuart McInally moving to open-side flanker in place of Ross Rennie who does not make the match-day squad. Scotland prop Geoff Cross comes back into the pack at tight-head in place of Willem Nel. Club captain Greig Laidlaw has failed to recover from the shoulder injury he sustained in last week’s match and his place at stand-off goes to Gregor Hunter while second row Sean Cox will skipper the team. 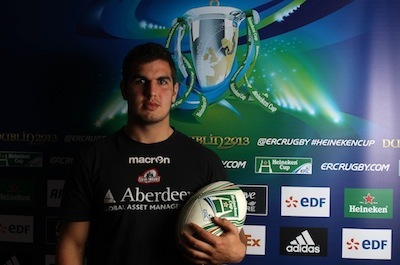 Edinburgh rugby star Stuart McInally has been rewarded for his fine early season form with a starting berth in the club’s opening Heiniken Cup match against Saracens on Saturday. McInally is selected at Number 8 ahead of Fijian Netani Talei in a strong line-up as the capital side look to emulate last years European performances when they reached the semi-final stage for the first time in their history. Head coach Michael Bradley says that last years experience in Europe’s premier club competition has left everyone connected with Edinburgh eager to experience more of the same this season. Bradley said: “The Heineken Cup is the best club rugby competition on the planet and it’s the one that every player and club wants to be part of. It’s a very special competition and we’re all very excited to get started. Scotland props Allan Jacobsen and Geoff Cross find themselves relegated to the bench with Welshman John Yapp and South African Willem Nel starting in the front row alongside Scotland captain Ross Ford. The presence of four internationalists in Jacobsen, Cross, Talei and England’s Andy Titterrell amongst the replacements underlines the new-found strength of depth in the Edinburgh squad. Bradley acknowledges this while conceding that the English club will provide a tough examination of his squads ability. Bradley said: ““Our opening pool match will pose a serious test for our squad and will give us a good understanding of where we are as a team. McInally is one of six changes from last weeks disappointing home defeat against Italian side Trevisio. Yapp, Tom Brown, Richie Rees, Ross Rennie and Nick De Luca are the other new faces. Scotland head coach Andy Robinson has called on his side to tighten up defensively if they are to avoid a seventh successive defeat in Rome on Saturday. Earlier captain Ross Ford had expressed his frustration and anger over last Saturday’s performance saying that he was “raging” after the match. Ford went on to say: “It was the worst I have felt after a game for a long time as I thought we were past that (level of performance).” Hear more of Ford’s press conference below. 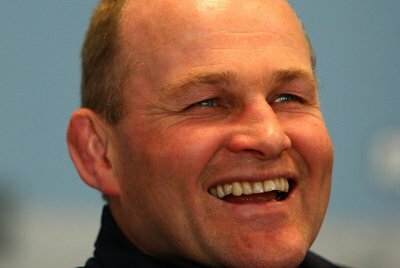 Go to our facebook page to hear an interview with Scotland prop Geoff Cross from this weeks press conference. 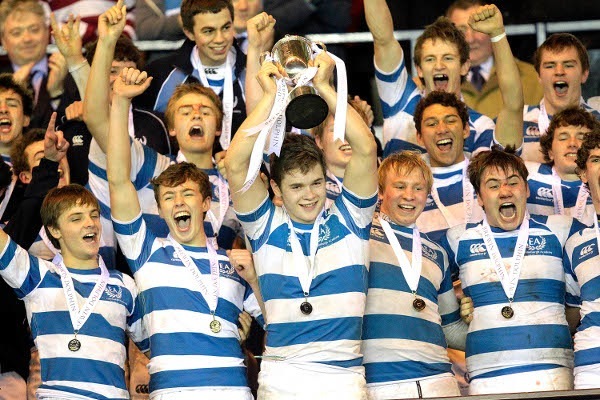 Edinburgh Academy won the Brewin Dolphin Under-18 Scottish schools cup with a tense 12-11 victory over George Watson’s College at a windswept Murrayfield on Saturday. Mark Appleson’s Academy side went into the final as favourites, having won all 13 of their matches this season. However, they made a nervy start and it was Watson’s who looked the better side early on. Indeed straight from kick off, Watson’s found themselves on the Academy line. The defence did well to hold the initial drive up over the try line but conceded a penalty following the subsequent scrum which Andrew McMillan converted. Watson’s appeared to adapt to the wet and windy conditions more quickly than their opponents, who made a number of handling errors and struggled to stamp their authority on scrums and line outs. Some astute tactical kicking from Watson’s Fraser Mackay and Euan McKean kept their opponents pinned back for lengthy spells. Academy meanwhile struggled to release their backs, with flying winger Freddie Smith finding opportunities to run with the ball hard to come by. Prior to the game one of Edinburgh Academy’s illustrious old boys, Edinburgh and Scotland scrum half Mike Blair, sent the squad a video message. However, it was Watson’s skipper Ramsay Young who was winning the battle of the number nines with Scottish under 18 cap Alex Glashan. His sniping runs and quick thinking were causing Accies all sorts of problems. Approaching the half hour mark one such run gave Watson’s an excellent attacking position on the Academy five metre line. Academy second row, Chris Thomson, made a massive tackle that not only turned over possession but seemed to give his side a huge lift. Accademy then enjoyed their best spell of the match with captain and Number 8 Chris Dean prominent. Unfortunately their handling still let them down at important times and they went into the break trailing 0-3. The turning point of the game came in the first minute of the second half when, following a bright start by the favourites, George Watson’s second row Matt Poole was sent to the sin bin. Academy made the most of the ten minute spell where they enjoyed a numerical advantage scoring two tries. The first try came courtesy of a fine break by stand off Alexander Muir, who drew three tacklers before releasing full back Robbie Orr to touch down. Alex Swan missed the conversion. Minutes later, with Watson’s anxiously counting down the seconds to Poole’s return from the sidelines, Academy won a line out on the right touchline and spun the ball wide, where Smith at last broke the shackles to score in the corner. After missing a straightforward kick minutes earlier Swan redeemed himself with a conversion from tight on the left touchline to extend the lead to 12-3. Watson’s, who were back to fifteen players made an immediate response and camped on the Academy line for the next five minutes. Some outstanding defence, coupled with Watson’s choice to run everything, meant that the gap stayed at nine points. Eventually at the urging of coach Ally Donaldson Watson’s chose to kick a penalty and McMillan made the score 12-6. Then on the hour mark Watson’s set up a grandstand finish with their first try. Try hero Smith made a terrible hash of dealing with a bouncing ball in his own 22 and Watson’s second row Neil Irvine Hess dived over. McMillan missed the conversion so the score was 12-11 going into the last ten minutes. It was at this point that the impressive Dean stepped up to the plate and drove his team forward, keeping Watson’s on the back foot and unable to manufacture a point scoring opportunity. The crowd of 4.800 was treated to a committed display from both sets of players and Watson’s can count themselves unlucky to have lost out. The outstanding Dean was Man of the Match but his team mate Thomson who was immense in defence and Watson’s Young must have pushed him close. Dan Parks kicking Scotland to victory. Scotland took a southern hemisphere scalp for the second successive year against South Africa on Saturday. 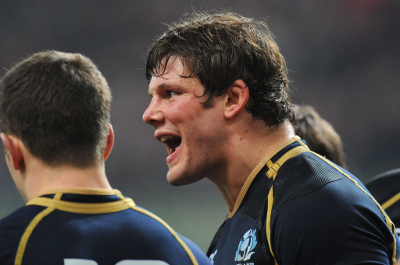 Las year after victory over Australia I looked at the state of Scottish rugby overall. This year in the wake of the latest victory I am going to concentrate on the national team. There is little doubt that both in terms of ability of individual players and strength in depth that the squad is in ruder health than it has been for many years. There are still some areas of concern, not least the lack of a genuine cutting edge in attack, but lets concentrate on the positives first. The Scottish pack of the 1970’s featuring the likes of Mclauchlan, Carmichael, Brown and McHarg was known as the mean machine and its present day counterpart is showing similar qualities. Indeed there is not a pack in world rugby you wouldn’t fancy the Scots having at least parity with. Especially satisfying is the number of genuine international quality second rows available. This position was an achilles heel of Scotland for many years, while some excellent locks, notably Doddie Weir and Scott Murray, have played for Scotland over the last 15 years they tended to be of the beanpole variety. Scotland seemed incapable of producing the second row monsters such as Johnson, Grewcock and Shaw that England seemed to churn out. Yet this autumn the prodigious and giant Richie Gray, the resurgent Scott Macleod, the near 20 stone Jim Hamilton, and tough nut veteran Nathan Hines have all pulled on the blue jersey. Add to that Glasgow skipper Al Kellock who is just returning from injury after leading Scotland to victory in Argentina and that’s a formidable bunch. Gray is particularly exciting as at 21 he seems destined for greatness. Behind this group in the back row Scotland have if anything an even greater wealth of talent. The killer B’s back row of Barclay, Brown and Beattie proved as good a back row as any since Jeffrey, Calder and White this year. However injury to Johnny Beattie has allowed Richie Vernon to blossom at number 8 for club and country. It will be interesting when Beattie returns to see if Andy Robinson elects to go with the power and solidity of Beattie or the pace and offloading of Vernon. Alistair Strokosh also missed the autumn schedule through injury and on return will provide fierce competition to Kelly Brown on the blindside. Over on the open both Ross Rennie and Allan MacDonald can count themselves very unfortunate to be contemporaries of John Barclay – surely one of the finest open sides in the world. The one area of slight concern may be the front row. Not that there is anything wrong with the first choice trio of Jacobsen, Ford and Murray. Jacobsen in particular is in the best form of his life and they are both effective in the scrum and dynamic around the park. The worry would be in the back up players. At prop Moray Low has done well when called upon but the likes of Dickinson, Cross and Traynor have yet to convince at this level. The nightmare scenario for Andy Robinson would no doubt involve a serious injury to Ross Ford as Hall and Lawson may be decent club players but neither are serious international class hookers. For anyone growing up watching international rugby in the UK Bill McLaren was an icon. Everyone knew him and most loved his commentary – even those who normally had little or no interest in rugby. up watching international rugby in the UK Bill McLaren was an icon. Everyone knew him and most loved his commentary – even those who normally had little or no interest in rugby. Personally I looked forward to his commentary every bit as much as I looked forward to seeing any great player in action. He was friendly yet authoritative, light-hearted at times but un paralleled in bringing great passages of play to life. Most of all he was the most impartial commentator imaginable. He commented with equal joy on a great try by say Gareth Edwards, Jeremy Guscott or Mike Gibson as he would on a try by Andy Irvine or Gavin Hastings. With Bill you always got the sense he just felt privileged to be in a position yo witness such great players and thats what made people look on him as ‘one of us’. Commentators like Bill, Dan Maskell, Richie Benaud and Peter Alliss epitomised the sport they commentated on. You knew it was 5 nations time when you heard Bill McLaren and you looked forward to it as much for being in Bills company as the rugby itself. similarly summer started with Dan Maskell at Wimbledon and Peter Alliss at the Open followed by a long, (hopefully) hot summer of Richie Benaud at the cricket. As far as hearing these voices on the BBC Alliss is the last man standing and Bills passing will make me appreciate his commentary even more this summer. To steal one of Bills most famous phrases – They will be raising a glass to Bill McLaren in the Greenyards tonight – and in many other rugby clubs all over the country.